Have you decided to stop smoking? 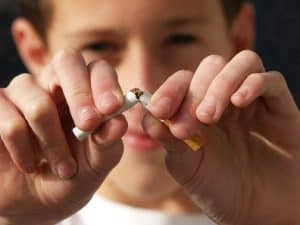 One of the most effective ways to quit smoking is to treble your chances with the Stop Smoking Hypnosis Guaranteed program. Interestingly, smoking cessation can be one of the hardest addictions to beat on your own. The latest Hypnotherapy techniques combined with Neuro-linguistic programming (NLP) will really increase your success rate and put you in control of your future. Study of 71 smokers showed that after a two-year follow-up, patients that quit with hypnosis were twice as likely to remain smoke-free than those who quit on their own. Guided health imagery for smoking cessation and long-term abstinence.Wynd, CA. Journal of Nursing Scholarship, 2005; 37:3, pages 245-250. Of 43 consecutive patients undergoing this treatment protocol, 39 reported remaining abstinents from tobacco use at follow-up (6 months to 3 years post-treatment). This represents a 90.6% success rate using hypnosis. University of Washington School of Medicine, Depts. of Anesthesiology and Rehabilitation Medicine, Int J Clin Exp Hypn. 2001 Jul;49(3):257-66. Barber J. 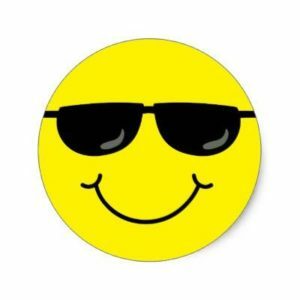 Stop Smoking Hypnosis – Your First Steps. Your first step is to arrange a free phone consultation to see if this stop smoking program is right for you. Call me today on 07568 455 809 or complete the form below to arrange your consultation and explore how Stop Smoking Guaranteed can work for you. During this relaxed consultation, I will explain how your stop smoking hypnosis sessions will work and evaluate exactly what you would like from this program. Hypnosis is a wonderful experience that will leave you feeling relaxed, calm and confident with the ability to take control. Usually, I work with clients from our locations in Newcastle upon Tyne, Northumberland and even Online. Call me today on 07568 455 809 or complete the form below and please let me know the best time to call you back. 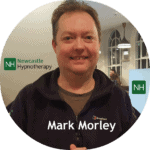 Newcastle Hypnotherapy offers a range of Hypnosis & NLP services throughout the North East and can help with a wide range of issues, problems and challenges. We are proud members of the UK Guild of Hypnosis Practitioners.